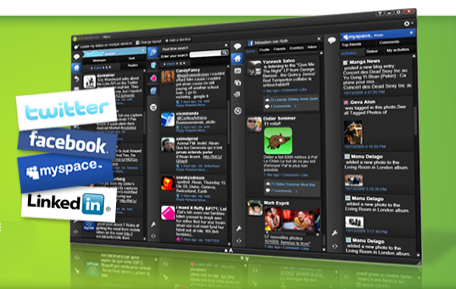 Today social networks are in the lives of all who use the Internet, so we must be aware of the constant updates from our friends and applications like sobees help us do it, because with sobees can integrate MySpace, Twitter, Facebook and Linkedin accounts. An important feature of Sobees is that the information that shows us is very complete, this application can also access profiles, pictures, messages, etc.. It is also possible to modify the interface so that we can organize the boxes, change the colors or simply decide whether we want tabs or columns. Although there are three versions of sobees (Lite, web and mobile), the Lite version you can download from the official site and run from the computer, and the online version that unlike Lite version also includes support for Digg, Flickr and YouTube.